ASaP 2015 Symposium: IMAGINE was a series of films, panels, performances, workshops, community classes, lecture/demonstration, and art installation. In its third year, the ASaP Symposium explored holistic, creative approaches that benefit people with Parkinson's Disease and those on the Autism Spectrum. This year’s focus was on the power of technology and art to transform the experiences of people with Parkinson’s Disease and Autism Spectrum Disorders. We can only begin to imagine the possibilities. Dancers from Dance for PD classes in Newport and New London join with dancers from the DAPpers class in Providence to perform a version of the Rainbow Etude. This performance followed other versions of the Rainbow Etude by dancers from Brown University and Central Falls High School as part of a lecture/demonstration at the 2015 ADLI/ASaP event. Autism: The Musical is an inspiring, informative and moving portrayal of children with autism and their families as they participate in a musical theater project. The film has won numerous film festival awards, and The Miracle Project theatre program is now being replicated internationally. Autism: The Musical a two time Emmy award winning film will be screen and followed by a panel and Q&A facilitated by Elaine Hall, star of the film, and Founder and Executive Director of The Miracle Project. The event took place at the Jewish Community Center, 401 Elmgrove Ave, Providence, RI at 7PM. Alive Inside documentary screening at the Warren Alpert Medical School. A stirring documentary demonstrating music’s ability to combat memory loss and restore a deep sense of self to those experiencing dementia. 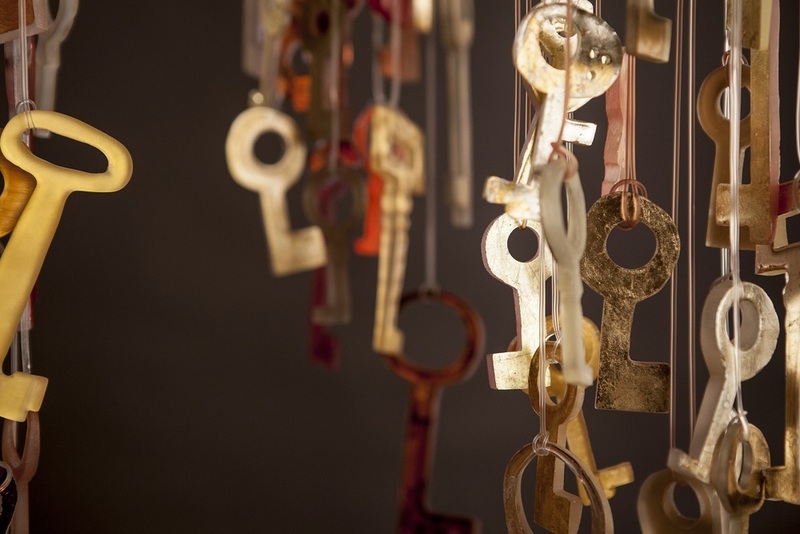 Keys to the Cure - a colorful and conscious-expanding interactive installation that visually fuses science and art. 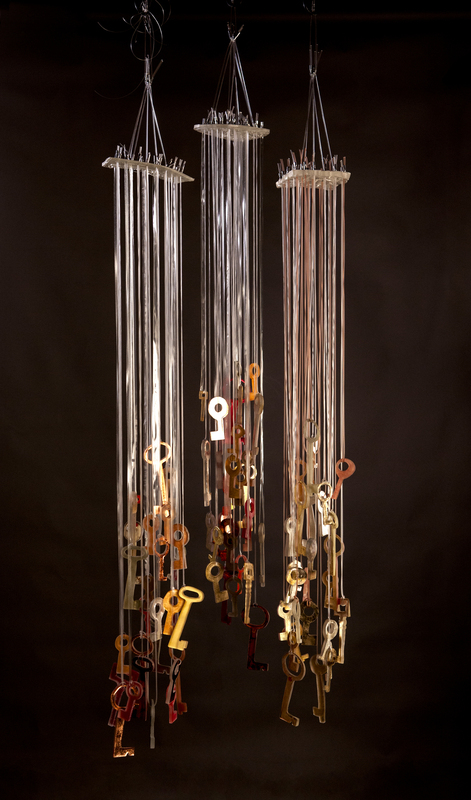 Artist Kelly Milukas invited the community, students and symposium patrons to collaborate on the installation by selecting handmade keys, covered in genuine gold and silver leaf, and placing them within a suspended sculpture. Combining the joy and playfulness of a child with the wisdom of an ancient, Vamping expands every heart to compassionately look and and talk about family secrets, aging, grief, and memory loss. Led by an interdisciplinary team of art educators and clinicians, this three-hour workshop used art experiences to encourage reflection on the impact of physician subjectivity on patient care. Though the value of objective information is emphasized in the medical model, clinicians' personal experience of patients and their problems ---- emotional reactions, assumptions and judgment ---- can also provide important information and impact patient care. Through guided engagements with carefully selected works of art and collegial discussion facilitated by physicians, participants built awareness of personal perspective and subjectivity, and considered ways to translate rigorous reflective skills into clinical practice. Accreditation: Women & Infants Hospital is accredited by the Rhode Island Medical Society to sponsor continuing medical education for physicians. Women & Infants Hospital designates this live activity for a maximum of 3.0 AMA PRA Category 1 Credits ™. Physicians should claim only credit commensurate with the extent of their participation in the activity. The rapidly growing field of assistive technology is fostering innovative interdisciplinary collaborations between artists and scientists. This panel discussion explored emerging technologies, the multi-disciplinary teams that are designing them, and the diverse perspectives with which this design field can be approached. Panelists David Leventhal, Rob Ellis, Kate Dansereau, and Alice Tin, moderated by technologist, choreographer, and writer Sydney Skybetter, explained their work and experiences in this life-impacting, versatile design field. David Leventhal is a founding teacher and Program Director for Dance for PD®, a collaborative program of the Mark Morris Dance Group and Brooklyn Parkinson Group that has now been used as a model for classes in more than 100 communities in 11 countries. He leads classes for people with Parkinson's disease around the world and trains other teachers in the Dance for PD® approach. Since 2007, he has trained more than 600 teachers in the Dance for PD® approach in 25 cities around the world. Along with Olie Westheimer, he is the co-recipient of the 2013 Alan Bonander Humanitarian Award from the Parkinson's Unity Walk. He has written about dance and Parkinson's for such publications as Dance Gazette and Room 217, and has a chapters about the program in two recently published books: Moving Ideas: Multimodal Learning in Communities and Schools (Peter Lang), and Creating Dance: A Traveler's Guide (Hampton Press). As a dancer, he performed with the Mark Morris Dance Group from 1997-2011, appearing in principal roles in Mark Morris' The Hard Nut, L'Allegro, il Penseroso ed il Moderato, and Prokofiev's Romeo & Juliet, on Motifs of Shakespeare. He received a 2010 Bessie (New York Dance and Performance Award) for his performing career with Mark Morris. He graduated from Brown University with honors in English Literature. Alice Tin is curious about many things. As an undergraduate at Tufts University, she studied history and community health. She then continued at Tufts to get her Master of Public Health in Biostatistics and Epidemiology. She has a deep-seated interest in participating in, and creating spaces for interdisciplinary collaborations. It was this passion that led her to co-found Open Style Lab, a non-profit dedicated to making beauty accessible to people of all abilities. She is currently a first year medical student at the Warren Alpert Medical School of Brown University, and is looking forward to exploring ways to integrate public health with her future clinical career to help others achieve health and healing in a holistic manner. 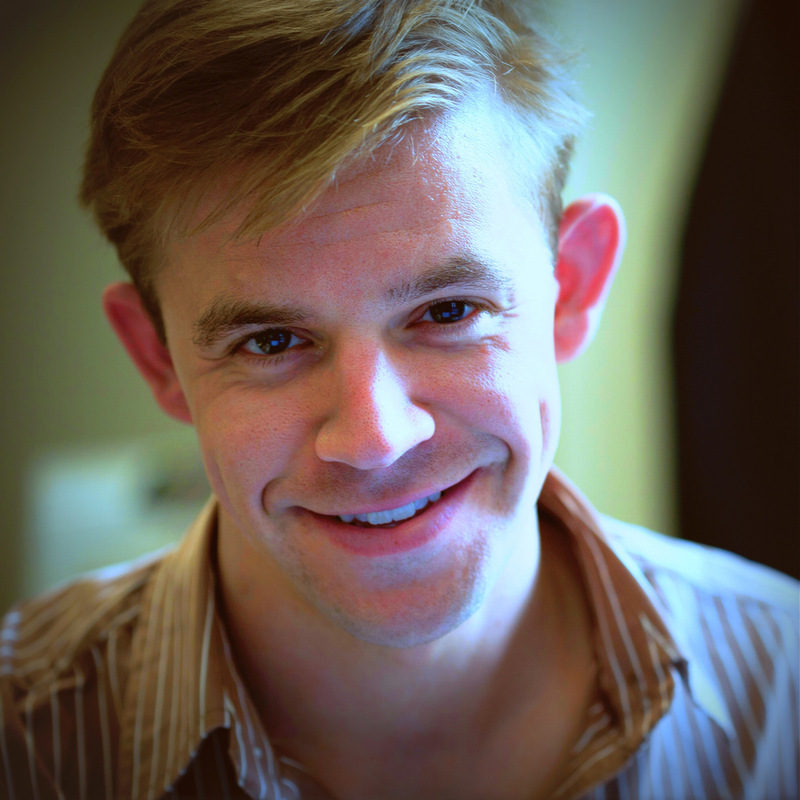 Rob Ellis is a postdoctoral research fellow in the School of Computing at the National University of Singapore, having previously been a postdoctoral fellow in the Department of Neurology at Harvard Medical School after receiving a PhD in Experimental Psychology from The Ohio State University in 2009. At NUS, his primary focus has been the development of a smartphone-implemented Interactive Rhythmic Auditory Cueing Evaluation (iRACE), designed to evaluate the effects of rhythmic auditory cues on upper motor (finger tapping) and lower motor (stride interval) timing in older adults (including patients with Parkinson’s disease). For more information, please see his website: http://robjellis.net. Kate Dansereau is an Autism Specialist and Assistive Technology Professional at Community Autism Resources in Swansea, MA. Her experience encompasses 18 plus years in the field of Autism Spectrum Disorders. She holds a Bachelors of Art degree in Communication Disorders and Psychology. She has also received a Graduate Certification in Assistive Technology from the University of New Hampshire and is a RESNA certified Assistive Technology Professional. In addition to her professional experience, Kate has a twin sister with Autism. This interactive workshop in narrative medicine provided medical students, physicians, nurses, allied health professionals and community members with an opportunity to hone their skills of observation, teamwork, medical storytelling and analysis. Utilizing Parkinson's as a unifying theme, his uniquely enriching workshop focused on three aspects of dance that are particularly relevant to the practice of compassionate, patient-centered care: how a medical story is told through the physical body; how dance analysis delivers a powerful model of empathy and observation; and how physical cues can be arranged and interpreted to form specific, sometimes unexpected meanings. Group improvisation brought these aspects to life in a lively, thought-provoking, and inspiring session for those interested in leveraging the tools of artistic creation and analysis within a healthcare or community setting. The workshop's facilitator was David Leventhal (Brown '95), one of the country's most passionate and knowledgeable ambassadors for the integration of dance into the everyday lives of persons with movement disorders. The workshop was designed for but not limited to medical students, physicians, nurses, and allied health professionals, to provide an opportunity to hone skills in observation, teamwork, medical storytelling and analysis. Find out more. Enrollment limited. 5:00-7:00 – Wine and cheese reception and ADLI Repertory Etude showcase. Expanding on the Friday panel discussion, this design workshop walked participants through the human-centered design process as applied to designing assistive technology. In small groups, participants identified a specific issue to address, researched current interventions, brainstormed solutions, and mocked-up a quick prototype of their idea.